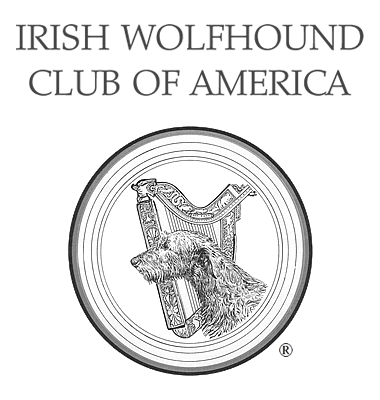 AKC Parent Club Mentors and Judges Education - Irish Wolfhound Club of America, Inc. This section is intended to serve as an educational tool for judges, breeders, exhibitors and owners to help form a correct image of the Irish Wolfhound and to promote a better understanding of and appreciation for the breed standard. We hope you will find this a sound guide in interpreting that standard. Breeders and judges should both emphasize the positive. Breeders have the responsibility to try to breed Irish Wolfhounds as decribed by the standard. Judges must find and place those dogs that best represent the qualities called for in the standard. Breeders and Judges both must consider the whole dog, not overemphasizing any one part. Reward the virtues and penalize faults to the extent of the deviation from the ideal. Our Parent Club Judges Mentors are experienced breeders and fanciers who care deeply about our breed and the show events in which their dogs participate. These volunteers give back to the dog show community by sharing their extensive and valuable knowledge with newcomers. If you are working toward judging Irish Wolfhounds or are interested in learning more about our standard, please contact one of our volunteer Parent Club Judges Mentors.